A $212,000 project by the Ministry of Waterways will soon take form to help address the issue of drainage and flooding in Rakiraki Town. This was confirmed yesterday by Minister of Waterways Mahendra Reddy during a public consultation held at the Rakiraki Town Council Conference Room. Mr Reddy said the initiative was a three-year programme and works were expected to start next month. “This Saturday there will be a tender coming out to contract out a particular tender to dredge the river. This will happen in one-and-a-half month’s time for the particular project to begin,” he said. “The establishment of the Ministry of Waterways demonstrates government’s commitment to ensure that issues like flooding are addressed. Of late Rakiraki Town was subjected to flooding in February 2016, December 2017 and January 14 this year. 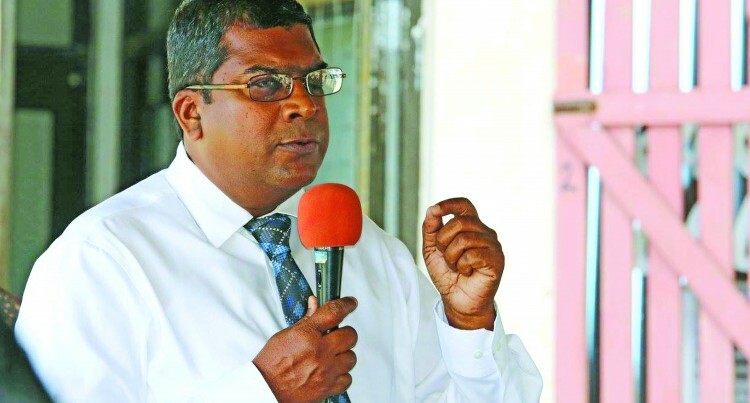 Mr Reddy said for too long the government has been dealing with the issue of flooding in towns and there was a need for a level of commitment to deal with this problem. “Flooding happens at a particular point in time and that is the concern that we have at the moment,” he added. “We need not talk more on what has happened in the past. All we need to do now is work together towards the future to help minimise floods. The Rakiraki Town Council will begin its work next Monday. Back of Fiji Development Bank to Shiu Raj Supermarket – constructing of new open channel and installation of culverts. Dr. Naidu to back of Adi’s Mote l- constructing and installation of new open channel drains and installation of culverts. Mahendra ReddyRakiraki Town Council Conference Room.